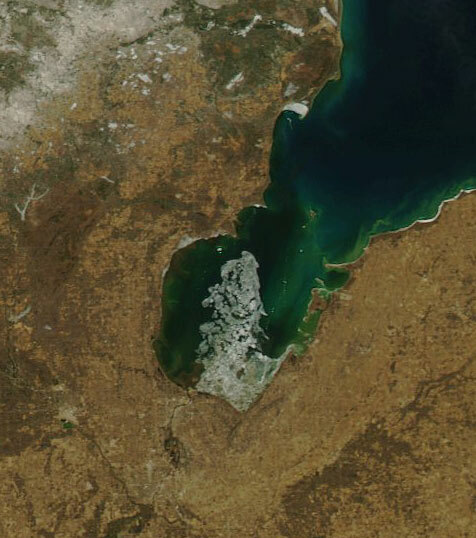 Saginaw Bay was muddy and had water temperatures at 36 degrees. Fishing was very slow because of the cold temperatures. Those trolling crank baits off Nayanquing Point in 17 to 20 feet and Linwood in 17 feet caught a few walleye. No action at the Hot Ponds. Those fishing off Finn Road and Geiger Road reported no fish. Sebewaing had skim ice in the marina but no fish. Mud Creek is open, but no fish were caught. At Bay Port, boat anglers were out trying. A couple small bluegills were caught in the marina. Caseville had rumors of lake trout and burbot; however, the ice had blown back in. Saginaw River water is muddy. A few anglers were trying at the Aggregate Cut and the Bay Harbor Yacht Club but did not have much success. Some were targeting suckers near the Boys and Girls Club but did not catch very many. Quanicassee River had anglers but no fish being caught. Au Gres Area surfcasting near the Singing Bridge caught steelhead, including the occasional limit catches. Those drifting spawn in the lower river had little to no luck. Tawas Area has open water in the marina. Those fishing off the mouth of the river caught a few walleye, steelhead and suckers. Watch for debris from the river. 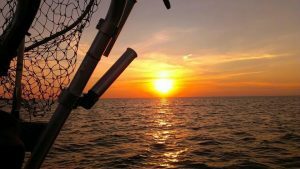 On Monday you may need a new Michigan fishing license (if you haven’t bought the 2019 version already)! April 1 is the start of the 2019 season – purchase your license online or at a retailer near you. For more information on Michigan fishing and hunting licenses, visit Michigan.gov/DNR.